Event scheduled for November 20 has been postponed - will provide update soon! Could Basic Income Guarantee improve children's health? 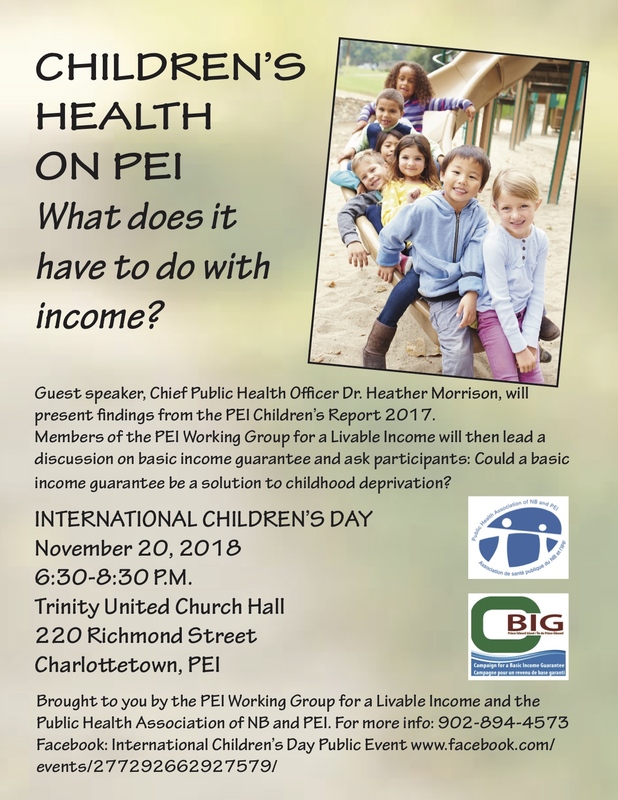 Join Chief Public Health Officer Dr Heather Morrison as she presents her 2017 report on children's health, and members of the Working Group for a Livable Income to discuss the benefits of BIG.